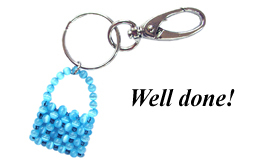 YOU WILL NEED: A cutter, 0.3 color-coated tigertail wire, 85 x 3mm cat's eye beads, a keyring. Cut wire of approximately 80 inches. 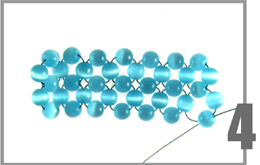 Thread 3 cat's eye glass beads onto the middle of the wire. Thread both wires in opposite directions through a glass bead. Pull the wire gently. Thread 1 cat's eye glass bead onto each side of the wire again. Thread both wires in opposite directions through another glass bead. Pull the wire gently. Repeat these steps 4 times. Thread 2 cat's eye glass bead onto one side of the wire again. Thread both wires in opposite directions through another glass bead. Thread 2 cat's eye glass bead onto the outer side of the wire again. 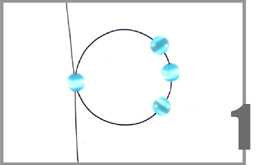 Thread both wires in opposite directions through another glass bead. Pull the wire gently. Thread the inner wire onto a bead on the left. 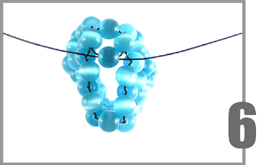 Thread a bead onto the outer wire. Thread both wires in opposite directions through the second bead. Pull the wire gently. 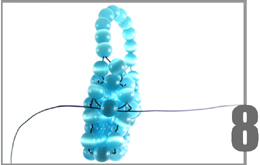 Continue four more times, then thread the inner wire onto a bead on the left. Thread another bead onto the same wire. Thread both wires in opposite directions through another glass bead. Thread 2 cat's eye glass bead onto the outer wire again. Thread both wires in opposite directions through another glass bead. Repeat number 4. Repeat number 5 again. Fold the piece that you have created into two. Thread 1 cat's eye glass bead onto the outer wire again. 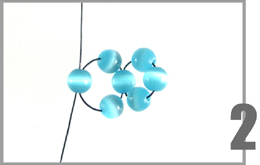 Thread both wires in opposite directions through the glass bead opposite. Thread each wire into the bead below. Run the wire through the beads. 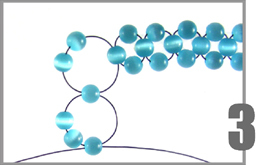 Return to the top again and thread both wires in opposite directions through the top glass bead. 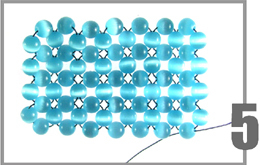 Thread 10 cat's eye glass beads on each side of the wire. Thread both wires in opposite directions through another glass bead again. directions through another glass bead again. 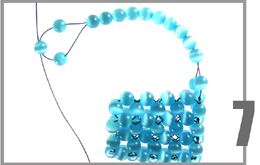 Run the excess wire through all the beads until the one side meets the other side. Tie them together well. Cut off the excess wire. Attach a jump ring. 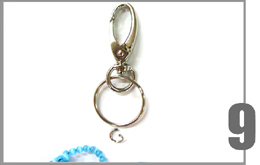 Attach the keyring to the jump ring.